Power your computer, monitor or other peripheral from a grounded hospital-grade power outlet. 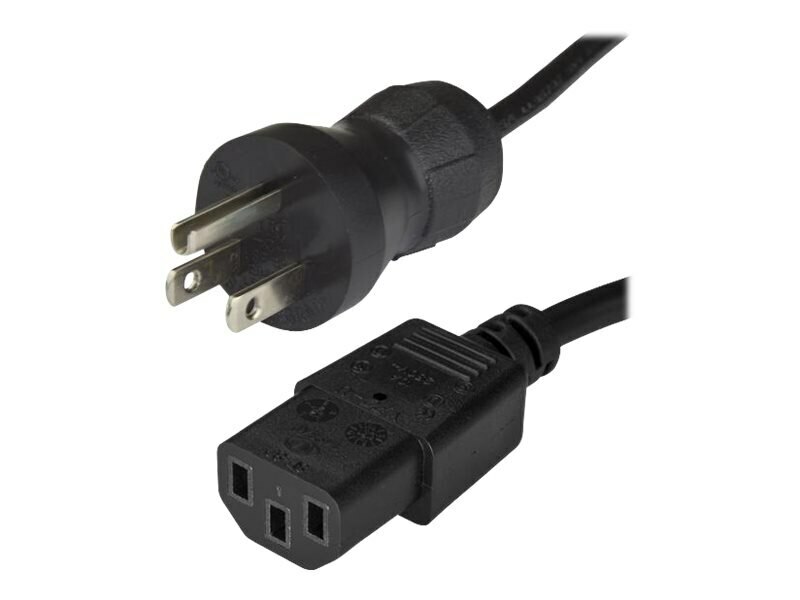 This NEMA 5-15P to C13 power cord features a hospital-grade plug that lets you connect your computer, monitor or other lab equipment to a hospital-grade AC power outlet. The NEMA 5-15P-HG plug has been tested to UL and CSA standards in order to protect patients and medical staff against faulty ground connections that can be caused by frequent and abrupt connects and disconnects. The power cord is built to withstand the demands of a hospital environment and is a dependable and safe replacement for worn out or missing power cords.